From the same label that brought us the vintage WWII recordings comes a collection of archive recordings from the heroic age of polar exploration. The five tracks cover polar music by Ralph Vaughan Williams together with rare archive audio including two recordings by Sir Ernest Shackleton and two songs in tribute to Captain Robert Scott. Recorded in 1953, Vaughan Williams' 'Sinfonia Antarctica' is the centrepiece of the disc, a 44 minute epic in the truest sense of the word capturing the intrepid drama of a mission to the ends of the earth that hold some tangible relevance in todays current climate. 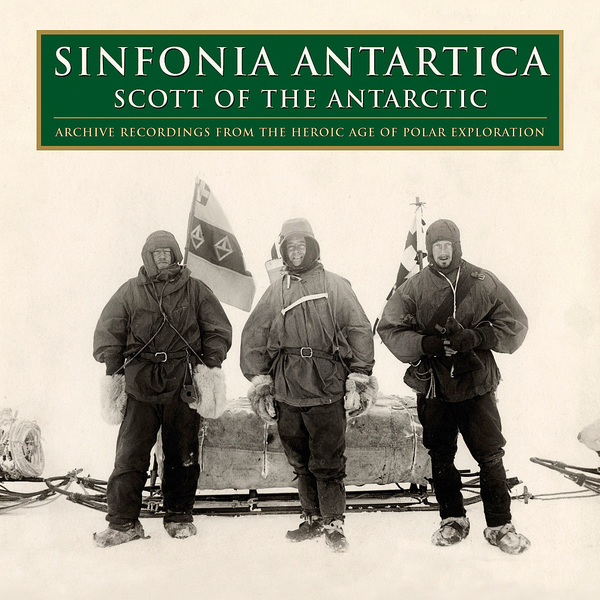 Much shorter, but much more fascinating are the recordings of Sir Ernest Shackleton recorded in 1909 and 1910, delivered in that deliciously stoic and stiff-collared English style, before Vaughan Wiliams completes the set with a cinematic tribute on 'Scott Of The Antarctic' featuring blustery wind noises and chilling operatic vocal accompaniment.